For the longest time, I was a body wash type of girl. It wasn’t until I uncovered the beauty of handcrafted, gentle soaps that my outlook changed and I started ordering more pretty, packaged soaps for my bathroom. Don’t get me wrong — I still love the slip and slide of a good body wash! — but there’s something fun about finishing a bar of soap and choosing which displayed soap will come with me into the shower for a good scrubbing. Speaking of being a #SoapGirl, my latest discovery is this fun little line out of Dallas, Texas, called — wait for it — SOAPGIRL. The minimalist packaging and cute logo design caught my eye as I was perusing the OpenSky website in search of products to review. (Yeap, this is another great brand you can get via OpenSky and redeem a $10 credit or 20 percent off coupon, max of $10 if you join as a new member — and no, I don’t receive any compensation if you shop through OpenSky … just sharing a good deal with you!). 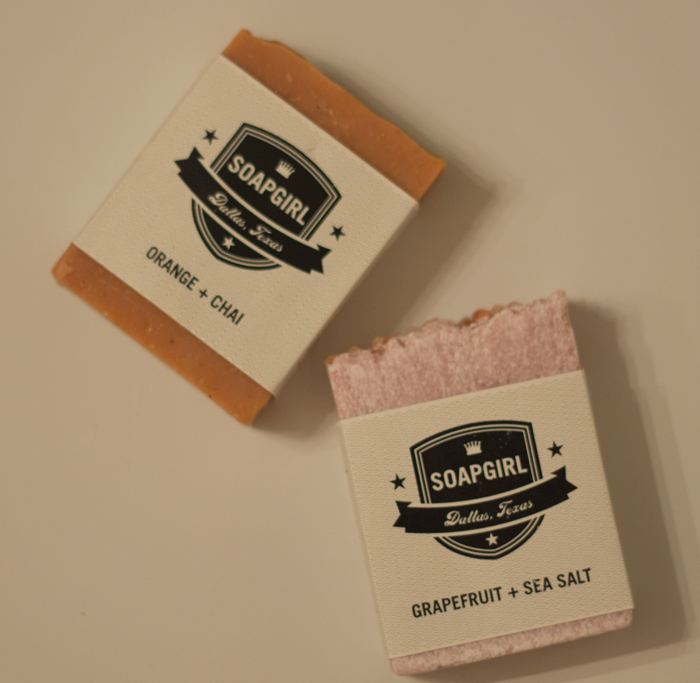 I opted for a fun fall scent (Orange + Chai) and a peppy, citrus scent (Grapefruit + Sea Salt) to see how the SOAPGIRL team captures two very different aromas. But before we get into all that, can we just take a moment to look at the texture at the end of these SOAPGIRL bars? Orange and calendula peels adorn the end of the Orange + Chai bar while pink Himalayan sea salt steals the show in the Grapefruit + Sea Salt bar. OK, so back to scent. As you can see above, the ingredients lists are short and simple, but the scents are anything but. SOAPGIRL Orange + Chai was bursting with bright, citrusy goodness and a shot of warm chai. I was expecting a spicier scent from this soap, but loved the fresh-squeezed scent of orange balanced with spice. SOAPGIRL Orange + Chai could easily be your year-round soap scent-wise because it doesn’t feel too attached to a season the way something like pumpkin spice could. Grapefruit + Sea Salt isn’t as intense as I would have expected. It has a nice, light citrus scent anchored by the beautiful pink sea salt. This soap won’t compete with any scents you may layer on post-shower, which is a plus! The inclusion of real chunks of sea salt on the edge of the bar makes for a legit exfoliating experience, but be careful with it on sensitive areas — the salt rocks aren’t too rounded, so you can get a bit of an abrasive rub on first use! As the bar softens, the salted edge becomes a little more enjoyable to run across your body. All in all, I’m stoked that I found another soapmaker whose scents and packaging I truly adore. I’ll be bringing more SOAPGIRL scents home with me soon (got my eye on Anise + Lemongrass and Peppermint + Poppyseed). At $6 a pop, you can scoop up several of the handcrafted soaps without feeling like you’re breaking the bank but also knowing that your more-expensive-than-Irish-Spring soap purchase is helping a woman entrepreneur in Dallas make the world a little bit cleaner and greener. 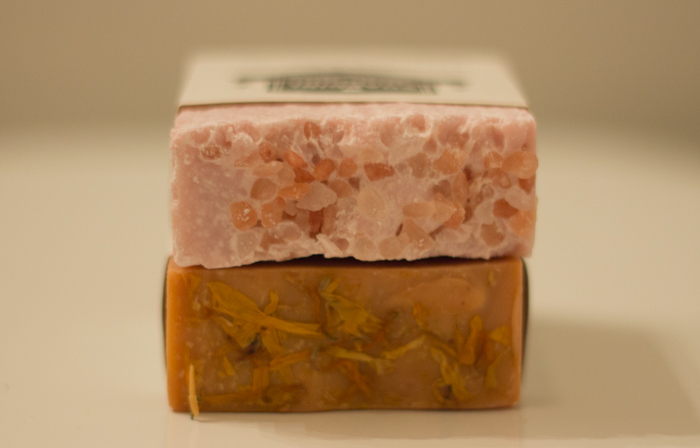 Do you like handcrafted soaps? Ever tried SOAPGIRL? 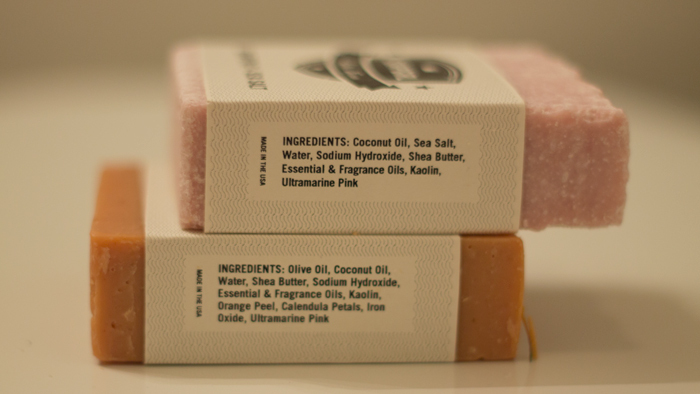 What are your favorite startup soap companies? Tell me in the comments section!